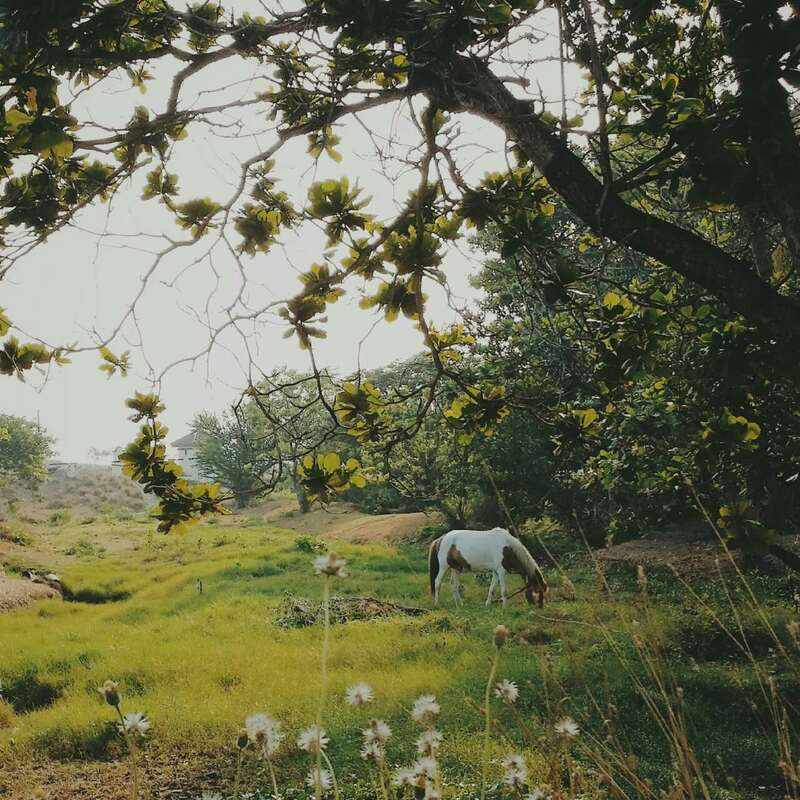 My original plan was to do another Golden Week inspired photos as soon as I got back from my vacation. 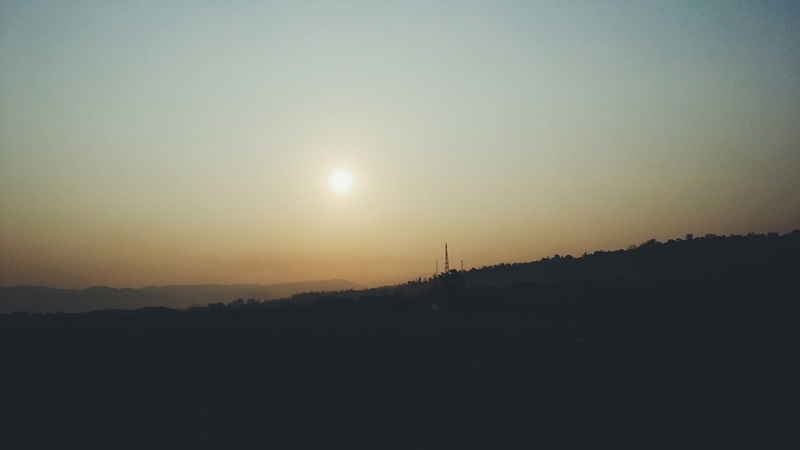 Unfortunately, I got sick the day I was supposed to return home and stayed 2 more days in Metro Manila. Damn the extremely hot weather. Despite of the unfortunate events, it was still a fun trip. 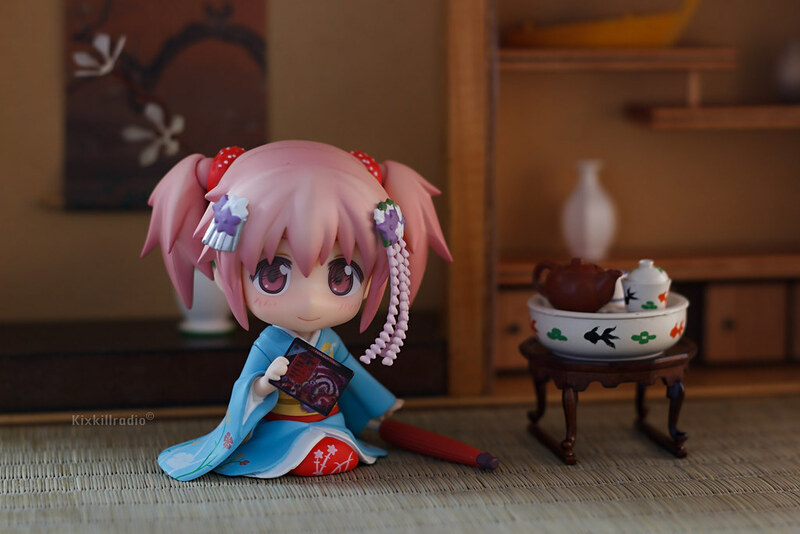 Today, we are looking at the 2nd part of Nendoroid Madoka Kaname Maiko version. I haven’t showed you her sitting body yet. I decided to make a traditional serving of tea and Madoka is our host. 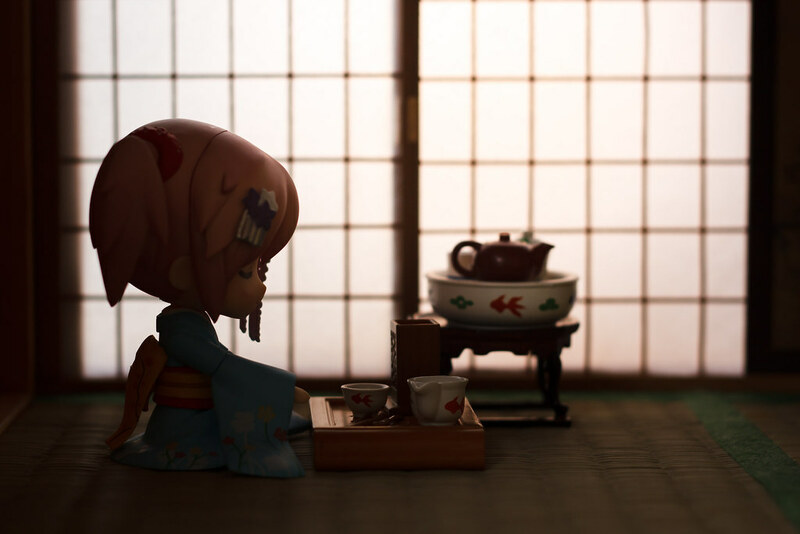 I didn’t have the complete miniature of tea ceremony sets, so I tried to use what I can get from my miniature collection. 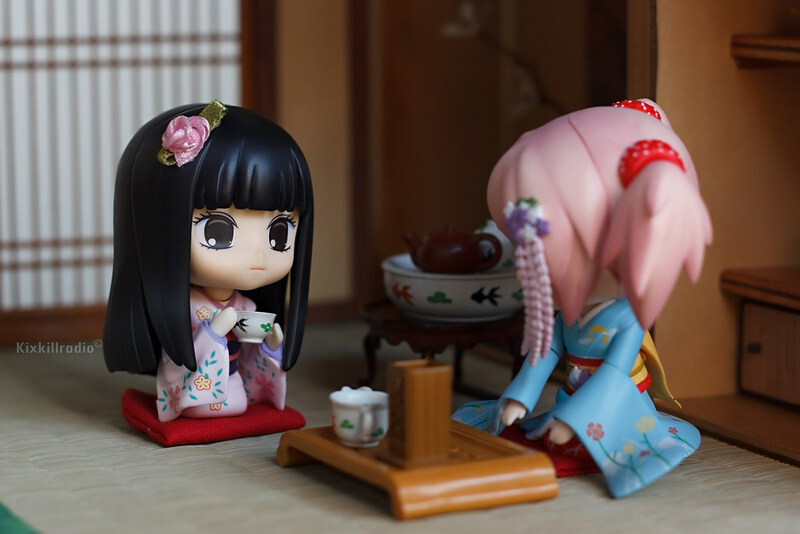 Her Golden Week new found friend, Nendoroid Sawako Kuronuma is joining her as her guest. 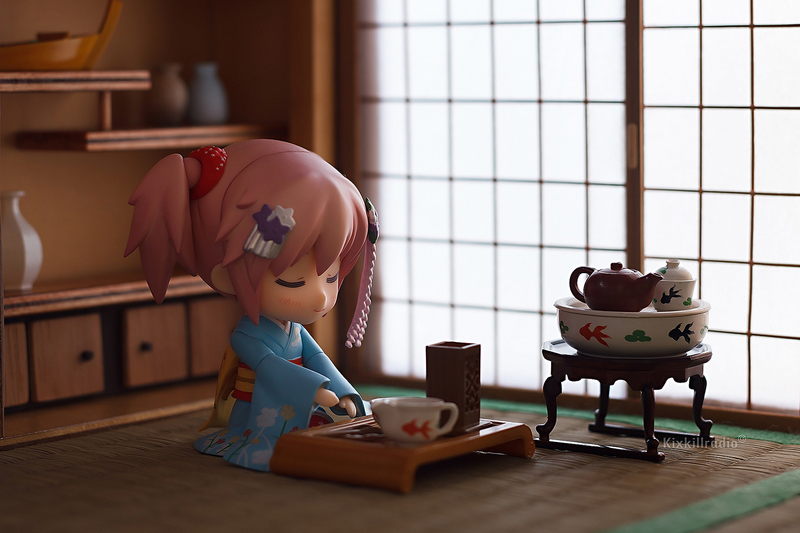 The room including the background is based on a Japanese tea room and it is hand-made. 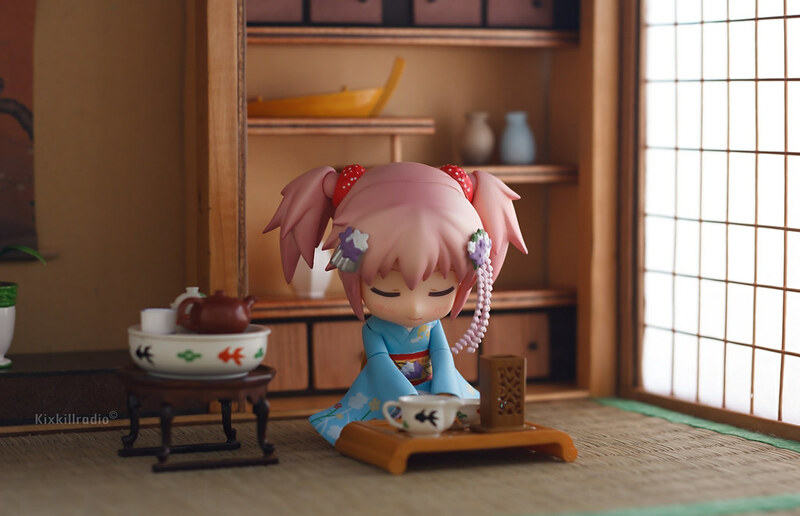 The tiny props such as tea sets and decoration are Re-ment. 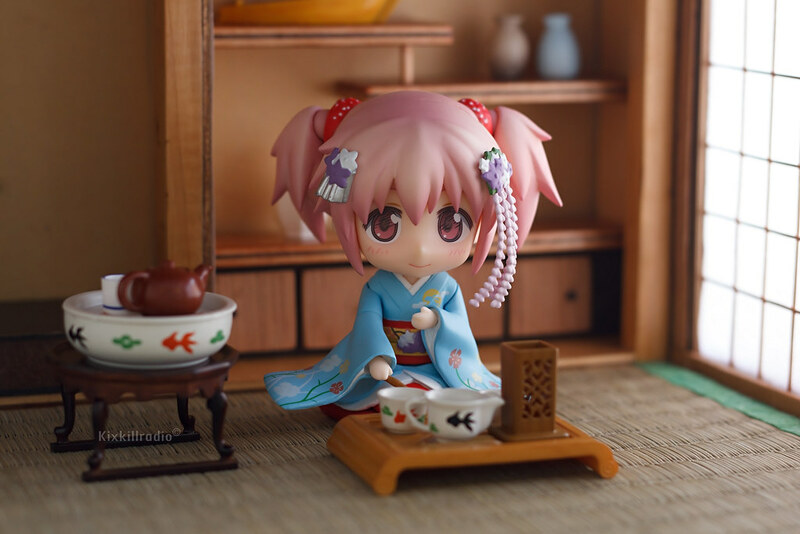 Do you have a Nendoroid Madoka Kaname Maiko Version? I really like the design of her kimono, I love the color too. I am really happy to have her in my collection. 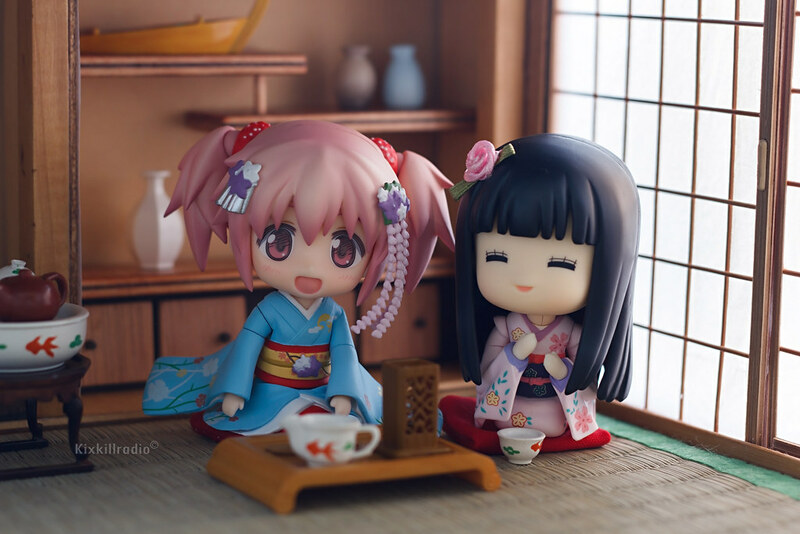 I hope they will release a Homura Nendoroid in kimono as well, it would be such a lovely pair. I wish! I’m always looking for good figures to get, but my parents can never give me a sure answer that I can get some. Wonderful photos! Always a joy to see them in my WP feed! BTW, who was the mysterious boy from the last set of photos? These photos are so life-like! you have a way of making your subjects look incredibly real. Great job creating the room, looks so accurate! This is one of my favorite sets that you’ve done! 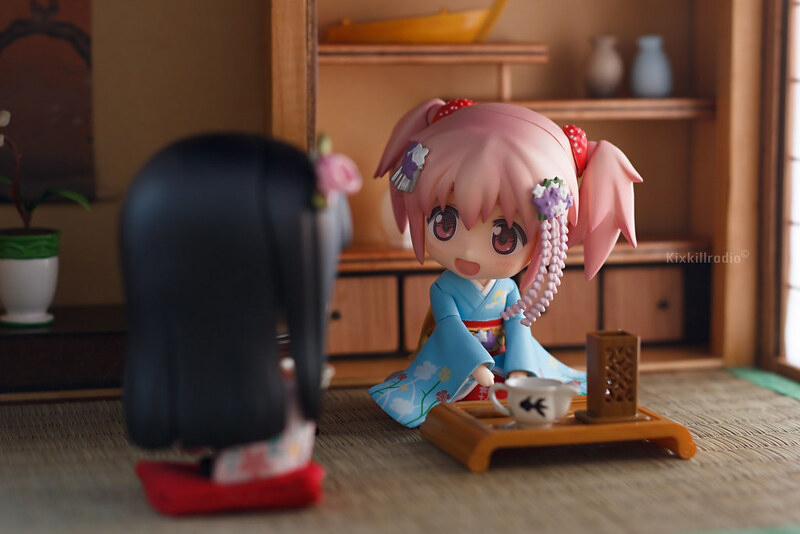 Maybe it’s because Maiko Madoka is one of my favorite nendos(that I still don’t have yet >_>’), maybe it’s because I love Japanese settings and everything looks so great, or…yep that’s why I love it. You combined all of my favorites Haha. Your little room looks awesome, I can’t exprress with words.